It was perfect. Simple and elegant, a work of art. Marilyn Manson, I kid you not. Below is a video I took of more paddleboarders.. Contrary to what I said before, they made it look pretty fun! I got up this morning, showered, dressed and was walking the dogs when I realized “I FORGOT TO MAKE THE COFFEE!” O horror of horrors! I made coffee after the dogs and I got back and I’m drinking some now. Whew! That was close! I coulda been killed!While I’m on the topic of coffee, I guess I’ll let you know that I’m pretty settled in on Cafe Bustelo. I did an image search for Cafe Bustelo, and this is what I found. Bikini Girl Bonus! Cafe Bustelo is good coffee and affordable. Plus what I like is that it is consistent. I use one level teaspoon per cup in the coffee maker and I get the same good strongish cuppa coffee every time. 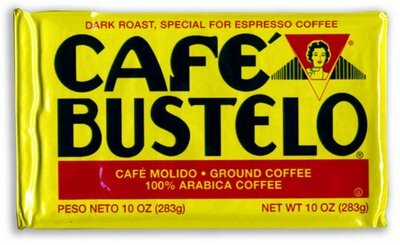 I still love the good cup of Costa Rican when I can get it, but Cafe Bustelo is the best all around coffee I have found.